There is a famous quote from Microsoft founder, Bill Gates, “We are changing the world with technology”. This quote has become more and more relevant in the current market dynamics, where the bulk of our socio-economic lives is driven by technology. Nowadays we mostly interact with our friends and family online, we are doing shopping online and technology is nearly incorporated in every other aspect of our lives. With all such developments, a huge concern of information security is also growing due to the open and vulnerable nature of the internet. Over the last couple of years, businesses and large enterprises have been going the extra mile to ensure that all the information related to their business as well as consumers are kept safe. Blockchain technology is the outcome of all those concerns and endeavors. Currently, the buzzword in the realm of internet security, the blockchain technology is becoming more popular for single-handedly providing a safe, secure, unregulated and truly global form of financial transactions. Said to be the brainchild of a person or a group of people known by the pseudonym, Satoshi Nakamoto, Blockchain technology has surely paved the way for the cryptocurrency. Over the past couple of years, this technology has given a new definition to secure online transactions which are not only safe but also transparent. 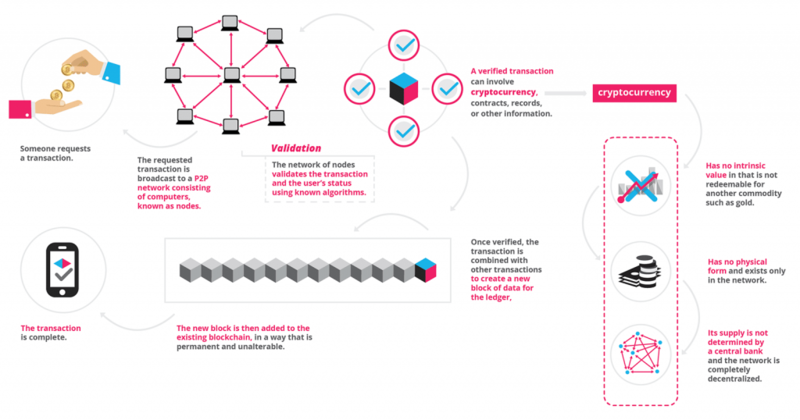 Blockchain Technology involves an incorruptible, transparent and open digital ledger of transactions that can be programmed to not only record financial transactions but any form of information worth a value. It works on the principle of digital information being distributed and not copied, creating a new backbone for the internet. It was actually meant to be designed for cryptocurrencies, but now tech evangelists are now finding its potential to revolutionize how we share information. It is still very early to state the significance of blockchain for businesses and how it can affect consumers as well as society. Currently, most of the online businesses are based on a centralized framework, where every peer has to go through a central system for connecting with another peer. In a blockchain technology, peer-to-peer communication becomes central and it allows for more direct information sharing. It is already disrupting areas like payments system, documents storage, user registration and verification systems as a centralized system is making way for a decentralized network that is not only reliable but also impenetrable. Looking for an ecommerce solutions built on secure architecture? One of the major benefits of blockchain technology has been in the payments sector where cryptocurrency has surely paved the way for online transactions. It is truly a global form of the transaction without any geographical boundaries or exchange rates. However as this technology is becoming more mainstream, it is resulting in disruption across several other areas. 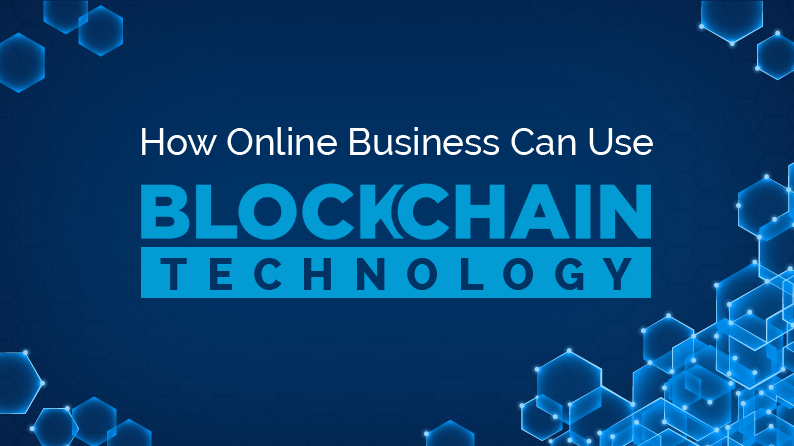 Blockchain technology has the answer to revolutionize online marketplace as we know it. What does eBay, Amazon, Alibaba have in common? Firstly they are online marketplaces where multiple sellers can open shop and buyers can connect with them. Secondly, they run off a centralized system, where buyers connect with sellers based on algorithm, search criteria or any other method. Being a centralized system, makes these online marketplaces or any other online business highly vulnerable, as information sharing between any two given entities goes through a single node. In a decentralized system, there are multiple nodes that connect two entities. With blockchain technology, rather than keeping a centralized system in place, you create a decentralized or distributed system, where each entity directly connects with each other without going through a centralized node. Consider a P2P ecommerce marketplace built on blockchain technology. Due to the nature of the technology, consumers would not have to have to sign up for an account to buy or sell stuff, making it completely censorship free and transparent. An escrow service can be incorporated along with cryptocurrency known as a smart contract, which locks in the funds once the payment is done. These funds are only released when the buyer receives and verifies the item. By leveraging smart contract technology on every order, a review ID can be logged into the blockchain, therefore, making it non-removable or modifiable by anyone. This ensures that the reviews and orders are valid and reliable as well as completely open. This results in a complete transparent ecommerce protocol where users, sellers, transactions, order, and reviews are all verifiable and auditable. What does this mean for Amazon’s and Alibaba’s of the world? Blockchain technology is a disruptive force that will surely shake up the ecommerce sector in the near future. Already several marketplaces are moving over to this technology like Openbazaar and Soma. Amazon is also keeping a close eye on this technology and has already partnered with DCG in its commitment towards bringing this technology to the mainstream. The fact remains that blockchain technology will surely create a new ecommerce protocol where people can quickly & safely conduct sales of products or services without the need of trusting each other. Retailers take heed; it is time to prepare for blockchain technology. On a side note, Amazon recently registered 3 cryptocurrency/blockchain technology related domains. This surely puts light on how mammoth this technology will prove to be for ecommerce sector. 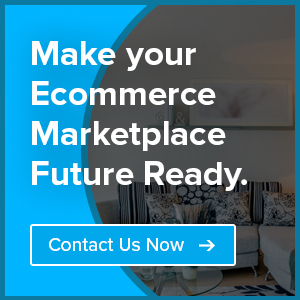 Want to incorporate future technologies in your ecommerce marketplace? Thanks for sharing the whole concept of blockchain and letting us know how can it be used for online business purposes. It was really useful.